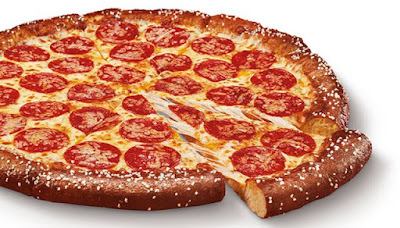 The Pretzel Pizza is back at Little Caesars for a limited time nationwide starting January 28, 2019, although some locations are already offering it. Little Caesars Pretzel Pizza was first introduced in 2014 and features a buttery-flavored soft pretzel crust topped with creamy Cheddar Cheese Sauce, mozzarella and Muenster cheeses, and pepperoni. A large pepperoni Pretzel Pizza is $6 while a Stuffed Crust version can be had for $9 (prices may vary). You can find my review of the Pretzel Pizza here.